The first of a series of 35 hat projects. 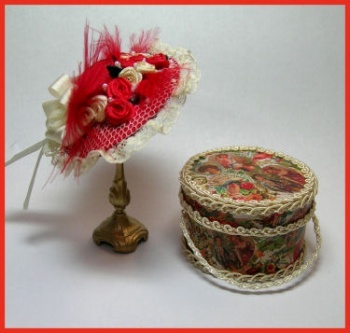 This project creates a beautiful red silk hat with net overlay. Red roses, feathers and ribbons adorn the hat. Matching hatbox is covered with beautiful Valentines Day artwork.